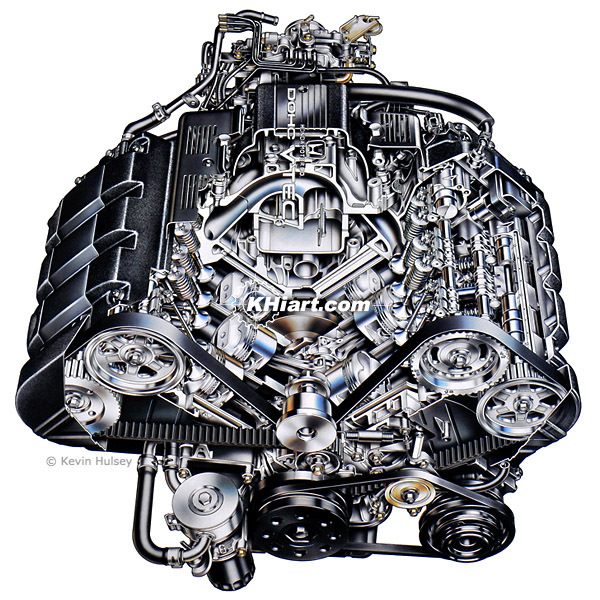 This engine cut away image collection contains over 20 see-through car engine cutaway illustrations, some of which can be licensed for use in advertising and marketing. These transparent engines show the internal workings of the internal combustion motor, highlighting the pistons, camshafts, crankshaft, engine oil lubricant flow and coolant flow, turbo charger, intake manifold, fuel injection system, as well as other moving parts. 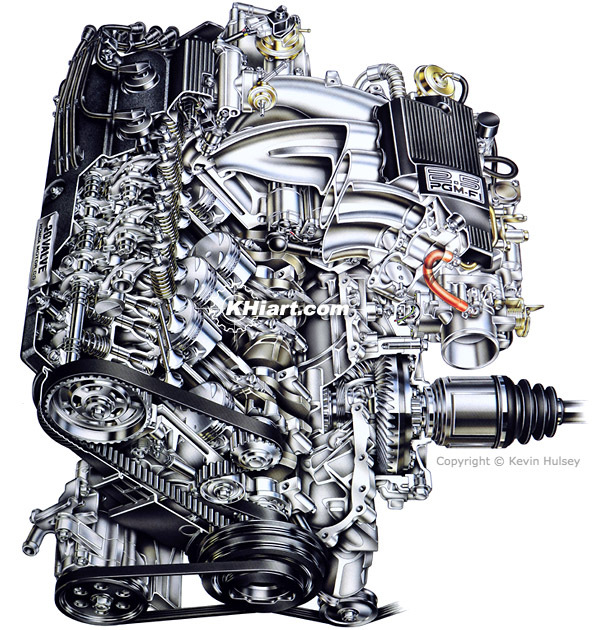 Various illustrations include gasoline and gas/electric hybrid engines, four-cylinder, v6 and inline or straight-six six-cylinder or v8 engines and motors, as well as automatic and manual transmission cutaways; engine section view and exploded views. 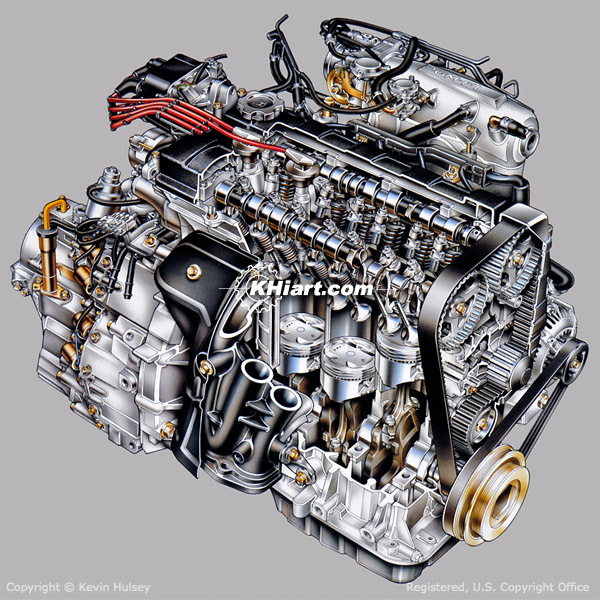 Technical cutaway illustration of a DOHC inline four cylinder car engine. 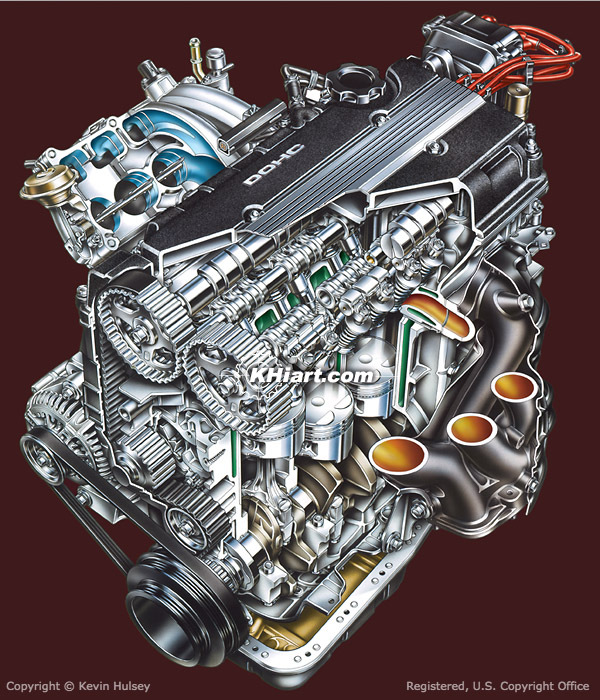 Technical cutaway color drawing of a high-performance V6 engine done for Honda's Acura division. 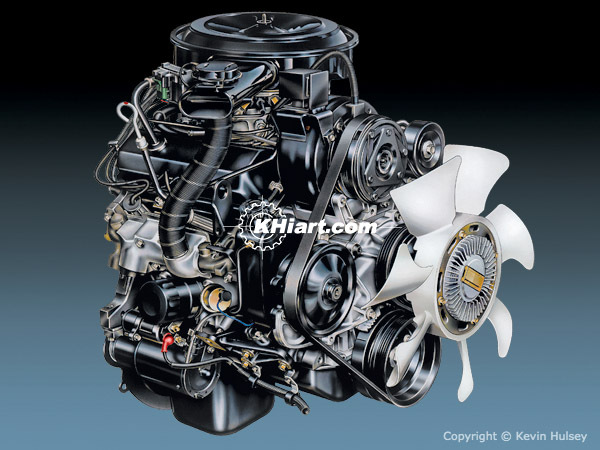 The image above is of an inline four-cylinder truck engine exterior created in airbrush. 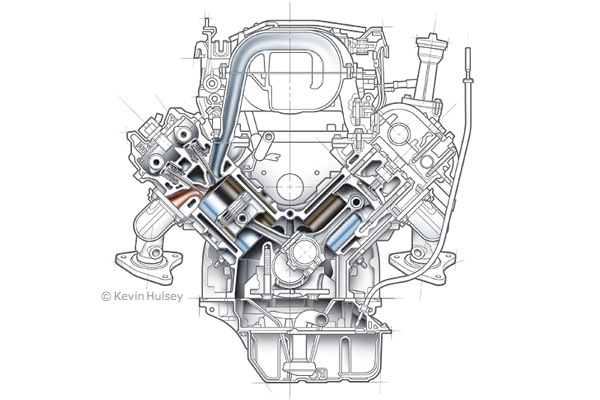 Longitudinal-mounted DOHC 32-Valve V8 engine done in the line-and-tone illustration style. 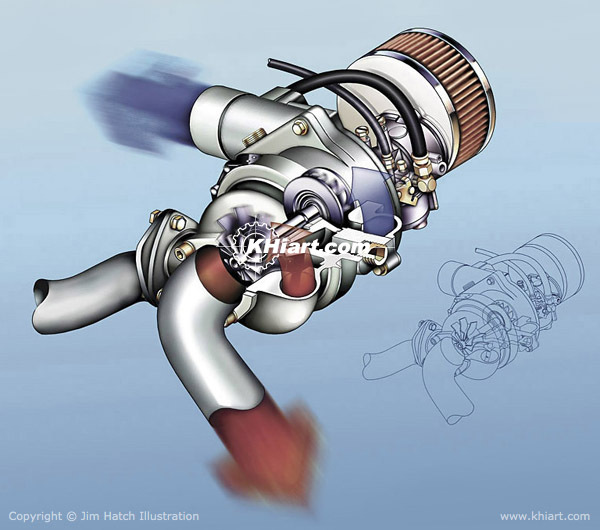 This image is of an automotive turbo charger that has been cut away to illustrate the exhaust flow through the unit and the spinning turbo fans which create the boost. Longitudinal-mounted inline 5-cylinder 2.5L I-5 SOHC 20-Valve 'slant-five' engine done for Acura. 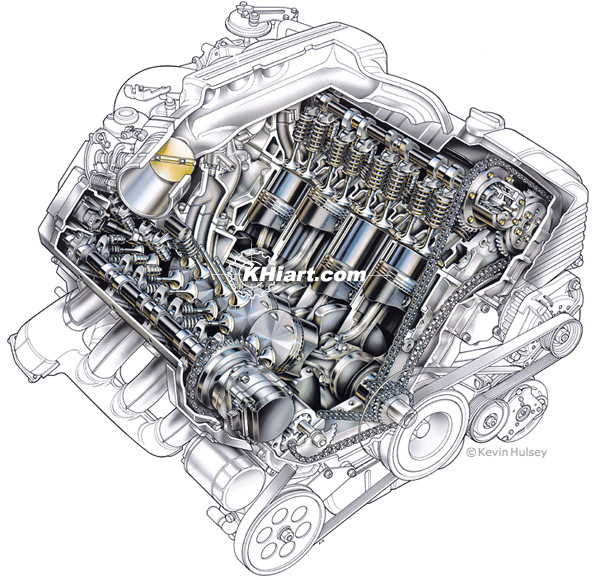 This image is of a sectioned cutaway of a V8 engine in line-and-tone style. 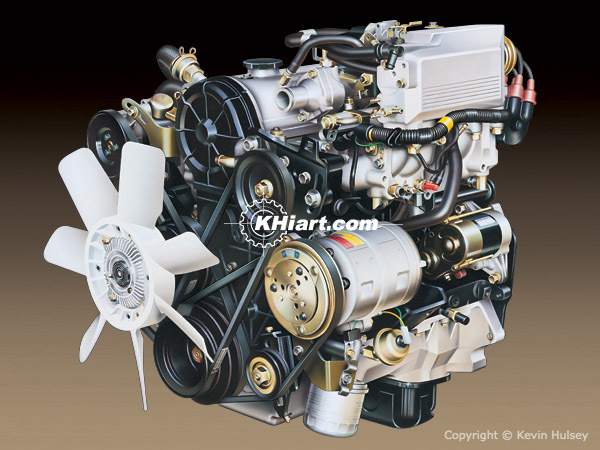 The image above is of a V6 SUV motor exterior created in airbrush. 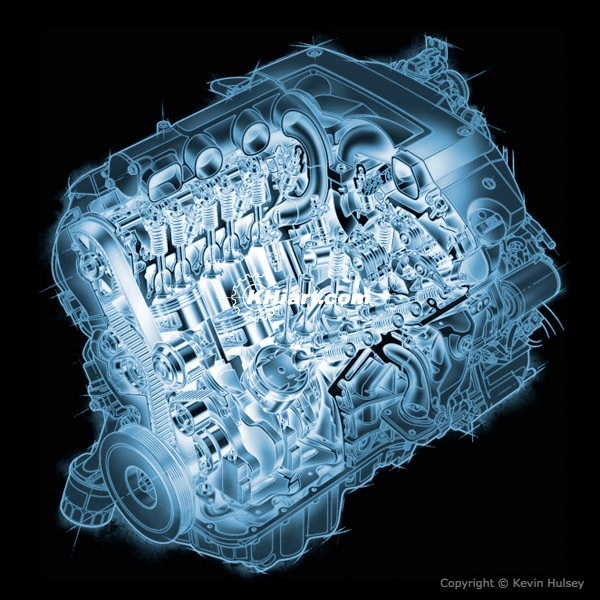 The image above is a digitally created x-ray of a V6 engine.